†The paralysis lasts 10 seconds. This effect is affected by any Alteration modifiers, such as the Stability perk. There are places where NPCs can sometimes be found doing target practice, and their arrows and bolts may be retrieved from the target dummy; for example in Dragonsreach, Great Porch, in the courtyard of Castle Dour or in the cistern area of The Ragged Flagon. With the Eagle Eye perk, you can press the Block control to zoom in on your target. However, doing so slowly drains your Stamina, and cannot be maintained indefinitely. With the Steady Hand perk, using Eagle Eye also slows time by a 25% (50% with the second rank), making everything appear to move in slow-motion. This effect allows you more time to think through and set up the shot. Although the action of drawing the bow will occur in slow-motion if you have not nocked the arrow before pressing the Block control, there is an exploit around this that can significantly increase DPS (See Bugs). Note that you cannot zoom in while under the effect of the Slow Time dragon shout, regardless of whether you have perks in Steady Hand or not. Note that the base damage and DPS does not include any damage added from the enchantments that exist on some of the unique bows listed. As you can see above, bound bows are among the best in the game based on base damage, however as they cannot be tempered other bows will eventually overtake them. You can also see that early in the game, the higher damage-dealing bows do the most damage, but as the damage outputs increase, it is the speed of the bow that becomes more important. In the table above, with quick shot and the best arrows, a long bow does more dps than a daedric bow. Your choice of arrow can also have a significant impact on dps early on, but as the damage from arrows is static they will be less influential on overall dps (iron arrows result in a dps of 6.14 for the long bow and 7.61). A tempered long bow will eventually do more dps than all other bows except Zephyr, Auriel's Bow, and Froki's Bow, due to the nature of the formula. Despite the daedric bow's high damage, its very slow speed is a severe limitation because of how the formula works. Auriel's Bow is the best bow in the game for dps, though at a huge cost of maximum damage. Karliah's Bow is the best in the game for maximum damage in one shot, and has the third best dps rating. However, the slow speed of Karliah's Bow will quickly see it slip behind the other best bows. The dragonbone bow is a good compromise between speed and damage, and it is more than sufficient at higher levels. It has the high base damage that is used for sneak attack calculations (the low base damage of Auriel's may not be enough to one-shot-kill many enemies). The dragonbone bow has the added benefit over Zephyr and Auriel's Bow of being enchantable, allowing you your own custom enchantments that, with sufficient skill in enchanting, can push its dps well above the others. 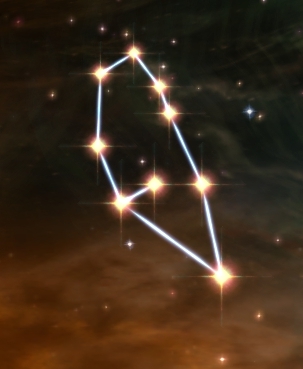 The primary factor affecting your maximum range is the global game setting fVisibleNavmeshMoveDist; past this distance, your arrows will "phase through" targets without doing any damage. The default value is 4096 distance units (for reference, a weapon with a reach of "1" has a reach of 141 distance units, by default). This issue has been addressed by the Unofficial Skyrim Patch; it triples the default, to 12288, which should always be enough that the arrow will always impact anything it can reach. The second most important factor is the projectile; it has a maximum range (which is typically not relevant, but can matter for the Riekling SpearDB, which has a maximum range of 4000 - most projectiles have ranges measured in the tens of thousands), a speed, which determines how quickly the projectile travels, and a gravity value, which determines how quickly the projectile drops (higher is faster, for both). Gravity tends to be the same for all of your arrows and bolts, but bolts travel significantly faster - the ammunition page covers these values. These set the angle your projectiles fire at from bows (the Arrow settings) and crossbowsDG (Bolt) in the first-person (1P) and third-person (3P) perspectives. A value of 0 is initially flat, along the bottom of the targeting reticle. Positive values tilt the projectile up. See the Notes section below for optimization. 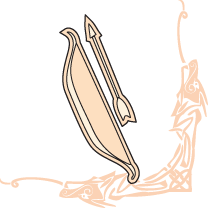 Range and Trajectory are also affected by bow speed. On a full draw, slower bows will shoot arrows higher and with less drop, while faster bows will shoot arrows lower with more drop. This means that at short ranges, arrows shot from faster bows will be more accurate to the crosshairs, while slower bows will shoot high. At long ranges, arrows shot from faster bows will drop considerably, requiring you to aim higher to compensate, while slower bows will hit the target much closer to the crosshairs—though you may still need to compensate for drop depending on the range. Also, slower bows have a flatter ballistic trajectory, which means they will travel further than arrows shot from a faster bow. This effect comes solely from weapon speed—other factors such as weight and damage do not play a role. You can see a comparison of the weapon speeds of many bows here. Of further note, the perk Quick Shot has no effect on range and trajectory, but Eagle Eye does, as it effectively decreases the gravity value of the projectile. Note: apparently the draw distance of the game is initialized badly, because if you keep it at the default from the very start of the game of a fresh install, then setting fVisibleNavmeshMoveDist to a higher value doesn't have any effect. If you max out the draw distances, then it will have an effect. If afterwards you move draw distance to minimum again, fVisibleNavmeshMoveDist will continue to have an effect. Archery is one of two skills which has a different Console ID than the name, the other being Speech. The actual Console ID for Archery is Marksman. For example, the Console code for improving Archery is AdvancePCskill Marksman <#>. The term "Marksman" also appears in a few other contexts, e.g. Fortify Marksman. Using the Secret of StrengthDB power will allow you to be able to use zoom ability gained from the Eagle Eye and Steady Hand perk, without using your stamina, for the duration of the power's effect. While drawing the bow from its starting point under the slow time effect of Steady Hand, the damage modifier of the bow will increase in real time if you release the block command simultaneously with the attack command. Thus, if you learn the maximum draw time in real time, this allows you to use Steady Hand while you draw and release the arrow "early", which deals full damage with full trajectory. Note that the bow will behave as intended if you release the arrow while still holding the block command. ? If you quickload while zooming with a bow, it will cause time in the loaded game to pass at the same rate as if you were zooming. Zooming again turns it back to normal. The cinematic kill camera causes a wrong starting position for the bow/arrow. If you are shooting from the rim of a ledge, the kill camera effect will start but then immediately end with the arrow striking the ledge even though a normal shot without kill camera would not be blocked. In close range with an enemy, right after firing an arrow that was fully drawn, you can make a bash attack which is treated as a fully drawn arrow attack. This applies the paralysis effect, any enchantments on the bow, and also raises the Archery skill rather than the Block skill. Note that you have approximately 0.5 seconds after releasing the arrow to perform the bash for the extra damage. This page was last modified on 14 February 2019, at 13:34.